My husband and I have always had a passion of touring and visiting wonderful museums around our great nation. Several years ago we had the pleasure of visiting the American Museum of Natural History on one of our trips up to the great state of New York. If you have never been there, it is definitely something you will want to add to your travel "bucket list" and visit it one day. Today we are sharing with you some information about a new exhibition that you all will want to check out, especially if you are fans of dinosaurs!!! All of the information is below. THE AMERICAN MUSEUM OF NATURAL HISTORY ANNOUNCES PTEROSAURS: FLIGHT IN THE AGE OF DINOSAURS. THE EXHIBITION COVERS AMAZING VARIETY OF PREHISTORIC FLYING REPTILES, HOW THEY FLEW, AND SURPRISING DETAILS REVEALED FROM NEWLY DISCOVERED FOSSILS OPENS APRIL 5, 2014. For as long as dinosaurs walked the Earth, flying animals ranging from the size of a sparrow to that of an F-16 fighter jet ruled the skies. These extraordinary winged reptiles—close relatives of the dinosaurs as well as the first back-boned animals to evolve powered flight—are the focus of the new exhibition Pterosaurs: Flight in the Age of Dinosaurs at the American Museum of Natural History. Pterosaurs will open on April 5, 2014, and remain on view until January 5, 2015. The largest exhibition ever mounted in the United States about these flying reptiles, Pterosaurs highlights the latest research by Museum scientists and leading paleontologists around the world. It also features rare pterosaur fossils from Germany, the United States, and Brazil as well as casts, life-size models, videos, and interactive exhibits that immerse visitors in the mechanics of pterosaur flight. The exhibition is overseen by Curator Mark Norell, chair of the Division of Paleontology, who conducts pterosaur research in Romania, China, and Mongolia, with co-curator Alexander Kellner, a Museum research associate and paleontologist at the Museu Nacional in Rio De Janeiro, Brazil. Pterosaurs first appeared about 220 million years ago and evolved into a diverse group with more than 150 species known from the fossil record: some with long slender jaws with needle sharp teeth, some with extravagant crests, and some with extraordinarily long wings, making these the largest flying animals ever to have existed. A full-size model of Tropeognathus mesembrinus, with a wingspan of more than 25 feet, will soar over visitors at the entrance to the exhibition; a full-size model of the 33-foot-wingspan Quetzalcoatlus northropi will be on view as well. For paleontologists, pterosaurs present a special challenge: their thin and fragile bones preserve poorly, rendering their fossils relatively rare compared to those of dinosaurs and other prehistoric animals. An animated video and other displays will address the composition of pterosaur bones and their fossilization, and pterosaur fossils on view will include the spectacular Rhamphorhynchus specimen (the Dark Wing), which features preserved wing membrane and has never been exhibited outside of Germany. In addition, the exhibition will feature dozens of casts and replicas of fossils from the Museum’s own collection and from around the world, including the first pterosaur fossil ever studied and described —Pterodactylus antiquus—unearthed in a quarry in Solnhofen, Germany, in the late 1700s, and the replica of a fossil pterosaur egg from China that shows their young were likely primed for flight soon after hatching. Pterosaurs also moved on land, as visitors will learn when examining a fossil trackway from Utah that reveals that these animals walked on four limbs and congregated in flocks. But flight is a special area of focus for the exhibition, which draws fascinating comparisons between pterosaurs and contemporary winged vertebrates, birds and bats; showcases the principles of aerodynamics in an interactive virtual wind tunnel; and offers visitors the chance to “pilot” a flying pterosaur over a prehistoric landscape complete with forest, sea, and volcano in a whole-body interactive exhibit that uses motion-sensing technology. As a contrast to this pterosaur-eye view, an immersive diorama shows a detailed re-creation of a dramatic Cretaceous seascape near present-day Santana, Brazil: Thalassodromeus pterosaurs swooping down to catch fish in their toothless jaws. About the American Museum of Natural History: The American Museum of Natural History, founded in 1869, is one of the world’s preeminent scientific, educational, and cultural institutions. The Museum encompasses 45 permanent exhibition halls, including the Rose Center for Earth and Space and the Hayden Planetarium, as well as galleries for temporary exhibitions. It is home to the Theodore Roosevelt Memorial, New York State’s official memorial to its 33rd governor and the nation’s 26th president, and a tribute to Roosevelt’s enduring legacy of conservation. 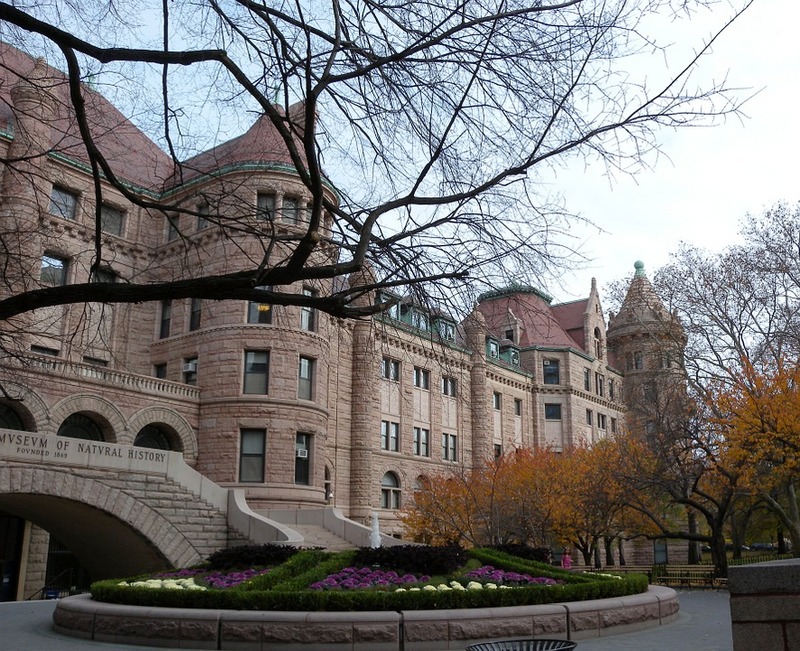 The Museum’s five active research divisions and three cross-disciplinary centers support 200 scientists, whose work draws on a world-class permanent collection of more than 32 million specimens and artifacts, as well as specialized collections for frozen tissue and genomic and astrophysical data, and one of the largest natural history libraries in the Western Hemisphere. Through its Richard Gilder Graduate School, it is the only American museum authorized to grant the Ph.D. degree. In 2012, the Museum began offering a pilot Master of Arts in Teaching program with a specialization in Earth science. Approximately 5 million visitors from around the world came to the Museum last year, and its exhibitions and Space Shows can be seen in venues on five continents. The Museum’s website and collection of apps for mobile devices extend its collections, exhibitions, and educational programs to millions more beyond its walls. Visit amnh.org for more information.